Charles Duke is a retired American astronaut who served as backup Lunar Module (LM) pilot for Apollo 13 and Apollo 17, and LM pilot for Apollo 16. Duke received a B.S. in naval sciences from the United States Naval Academy in 1957 and a M.S. in aeronautics from the Massachusetts Institute of Technology in 1964. Following his graduation and commission from the Naval Academy, he entered the Air Force and served three years in Germany before transferring to the Aerospace Research Pilot School. 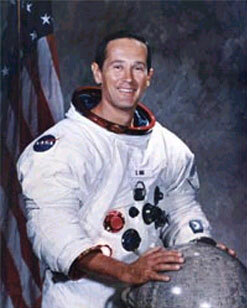 He was among 19 new astronauts selected in April 1969. Duke retired from NASA in 1975 to enter private business.